Sprague Cleghorn was inducted into the NHL Hockey Hall of Fame in 1958. He coached Providence to its first Fontaine Cup championship and its first regular season title in 1929. He piloted the Reds for two seasons, from 1929-1931, compiling a record of 67-28-17 (.647). 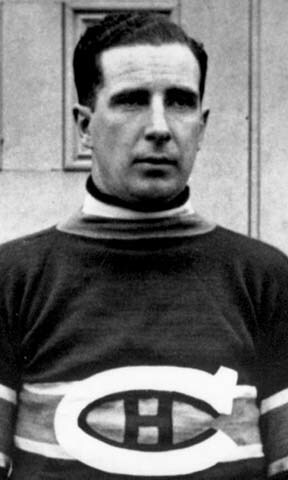 Prior to coaching the Reds, he was regarded as one of hockey’s roughest and most feared players while playing with Ottawa, Toronto, Montreal and Boston In 1923, he was suspended by the Ottawa Senators’ team owner for play “befitting and animal.” According to some accounts, Evelyn Byng, Viscountess Byng of Vimy, was so mortified by Cleghorn's style that she donated the Lady Byng Trophy to the NHL in 1924 in a bid to encourage more sportsmanlike play. Despite his ferocious style of play, along with Eddie Shore, Cleghorn was regarded as one of the pro game’s first and best defensemen to rush the puck and turn defense into offense. Sprague played on three Stanley Cup winners in his 10 seasons in the NHL, from 1918 to 1928, tallying 138 points and 83 goals with 538 PIM in a total of 259 games.